As I'm preparing to type up this review, I went on Sephora.com and noticed that the Yves Saint Laurent Mascara Vinyl Couture is no where to be found. I even went to the YSL Beauty website and nothing. This leads me to believe that the Yves Saint Laurent Mascara Vinyl Couture has been completely discontinued less than two months after its big launch which included Cara Delevigne as the spokeswoman. And you might be wondering why I'm even bothering to review this, but I think that this will prove to you that price doesn't always equate to quality. I think a lot of people (including myself) often think that high end products will always perform well because of their high price tag, but that's certainly not always the case. Let's start off with the details, the Yves Saint Laurent Mascara Vinyl Couture* is supposed to provide sleek and supple volume and big color impact. The formula has a lacquer-like consistency that will look shiny like vinyl. According to YSL's creative director, the brand spent four years to perfect the liquid technology that would provide high impact color. Unlike most colored mascaras, the Yves Saint Laurent Mascara Vinyl Couture has a completely transparent base instead of a white base, which means that the colors won't be affected by the white pigment. The brush is a regular bristle brush with very short and stubby bristles. It will deposit a lot of product to instantly create a more voluminous look to the lashes. Here are the things that I don't like about the Yves Saint Laurent Mascara Vinyl Couture in I'm The Trouble*. I personally don't like the very liquidy and shiny formula that this mascara has. I find the formula to be a bit difficult to work with and it does clump your lashes together. I also really don't like how the mascara layers and how it wears. If you get the smallest amount of moisture on this mascara, it will smear. I've had this mascara run a little when I simply yawn and tear up a little. Thankfully the formula doesn't flake which is nice, but the smudging is definitely a big no. As for the color impact, I have to say that I'm not super crazy about it. Sure, it photographs beautifully but in person it makes me look like I have no lashes. I recently wore this mascara on my June Favorites video and I honestly contemplated on re-filming that video because my lashes looked almost nonexistent. And I know that colored mascaras are fun, but I personally think that the $29 price tag is way too high for something that's probably not going to be used on a regular basis. 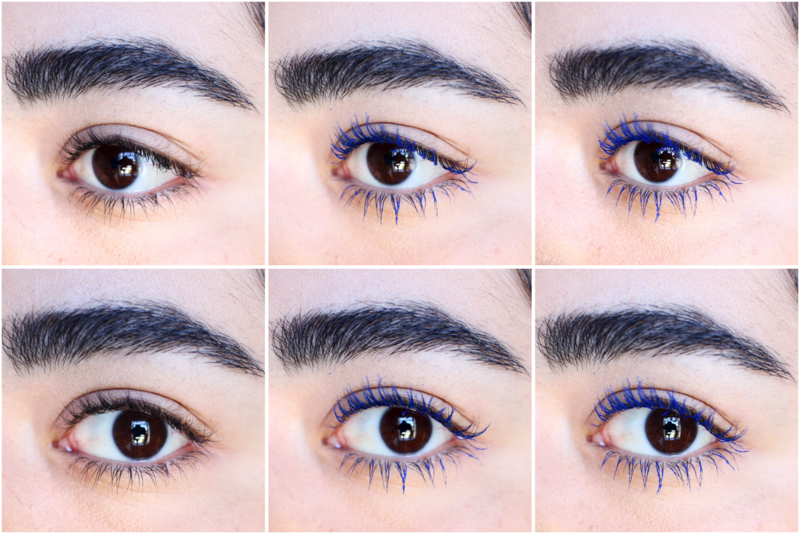 If you want to experiment with blue mascara I would recommend the CoverGirl Katy Kat Eye Mascara or the Almay Intense-I Color Volumizing Mascara. 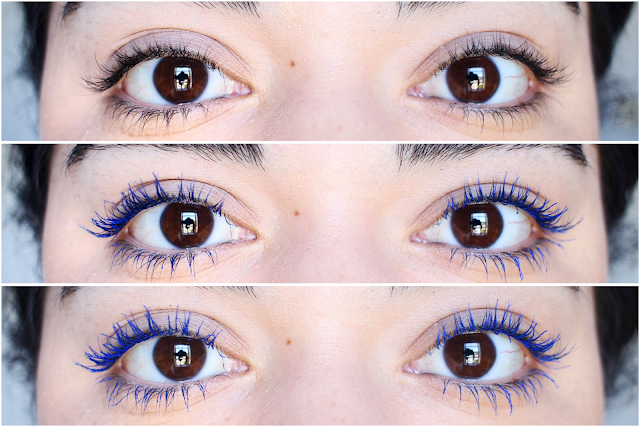 Having tried the Yves Saint Laurent Mascara Vinyl Couture I can certainly see why they would discontinue it. The product just doesn't live up to the Yves Saint Laurent standard and it's certainly not worth the $29 price tag. I will continue to use it mainly for pictures, but it's just not a very exciting product despite its beautiful packaging. Have you been disappointed by a high end product? Let me know in the comments below. Disclaimer: I received the Yves Saint Laurent Mascara Vinyl Couture thanks to Influenster.